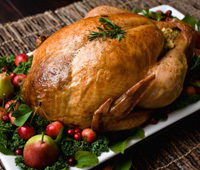 Hayter’s offer’s a full range of both Fresh and Frozen turkey products to suit your family needs. Our commitment to farm fresh product is the reason why so many people come back to Hayter’s year round. One taste… and you’ll see what we mean by flavourful !